The Carnival Corporation announced Tuesday a joint cruise venture with China State Shipbuilding Corporation (CSSC) under the name CSSC Carnival Cruise Shipping Limited. The new China-based cruise company plans to operate its own fleet to serve Chinese cruise guests by the end of 2019 and will purchase two existing ships from Carnival Corporation’s Costa Group. The 2,210-passenger Costa Atlantica is scheduled to be transferred to the new Chinese cruise line by the end of 2019, while the 2,114-passenger Costa Mediterranea will be transferred at a date to be announced. CSSC Carnival Cruise Shipping Limited also announced an order for two new cruise ships that will be built in China and serve the Chinese cruise market. The two vessels will be constructed by Shanghai Waigaoqiao Shipbuilding, with the first ship expected to be delivered in 2023. The agreement gives the cruise line the option to order four additional vessels to serve the growing demand from Chinese consumers. 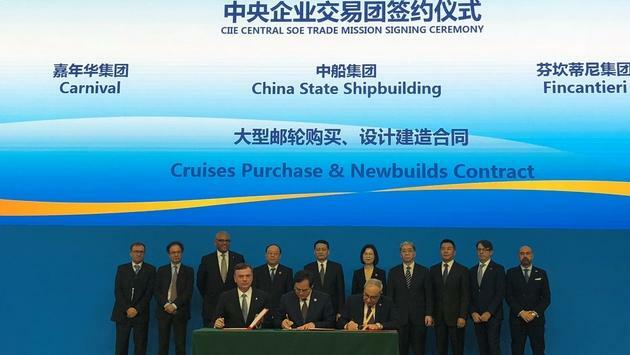 The blockbuster agreements were signed on behalf of CSSC Carnival Cruise Shipping Limited by Costa Group’s Michael Thamm and CSSC president Yang Jincheng during a ceremony held Tuesday at the China International Import Expo in Shanghai. CSSC Carnival Cruise Shipping Limited was formed with the goal to launch the first multi-ship cruise brand in China specifically designed to serve the Chinese cruise market. 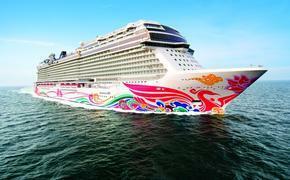 The company also supports the country’s larger efforts to prioritize cruise industry growth in its five-year economic development plan.